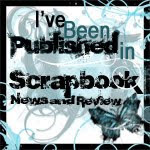 Sparkle N Sprinkle Blog Hop - Love & Romance are in the Air! Welcome to the Sparkle N Sprinkle Deco Divas – Love is in the Air Blog Hop! If you hopped here by way of Karalee Ingram then you are in the right place. Otherwise, you might like starting from the Sparkle N Sprinkle blog to become eligible for one the four great prizes. One lucky person will win the Grand Prize - a Stamp Set of the winner's choice mounted on cling cushion. As you visit each artist's blog, there is the possibility of winning one of THREE more prizes! It's a secret though. No one knows who "those three" are...so be sure to leave a comment on EACH blog to be eligible (including the SNS blog). I used the "Mary" image. I love this sweet angelic image. I think she's perfect for wedding showers and romantic Valentine cards and she's so fun to embellish. I made it in a size that can be mailed in a regular business sized envelope...no extra postage! You can find a supply list and full instructions HERE on the SNS site. Then head back to the Sparkle N Sprinkle home page and answer the question! 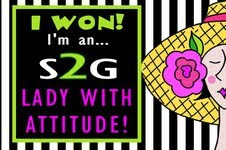 Winners will be announced Saturday, Jan 21st on the Sparkle N Sprinkle blog. Remember, to become eligible to win the Grand Prize, please leave a comment on EACH blog, and follow the directions on the last blog. Winners of the mini prizes are selected when they leave a comment on the mystery designer's blog AND answer the final question at the SNS Home Blog. Amanda Reed is your next hop stop. Happy Hopping and good luck! Guess what?! 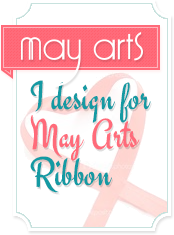 May Arts has a brand new blog! 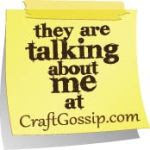 The Ribbon Lady is giving away prizes to celebrate so why don't you pop on over, take a peek and leave her a comment. She's got paper and ribbon...just tell her I sent ya! The paper and ink playground is a busy spot trying to catch up on all the blog hops and product giveaways that will be happening in the next few days...be sure to stay tuned. Be sure to check out my Sparkle N Sprinkle gift card giveaway in the R sidebar, the SNS blog hop AND the Rubbernecker Blog hop AND add in May Arts and you've got alot of freebies comin' your way. Here's a peek at the workdesk...DH is off today so I have to run. His first day off in 9 days. None of his employees want to change places with him. :-) He works too hard. 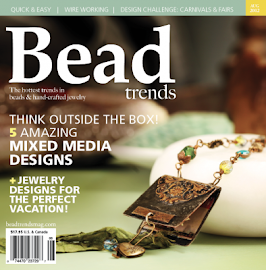 Be sure to pop on over to Julia's Stamping Ground to check out the busy desks worldwide. I always love to see what Julia has on her busy desk and the view out her window is just gorgeous!